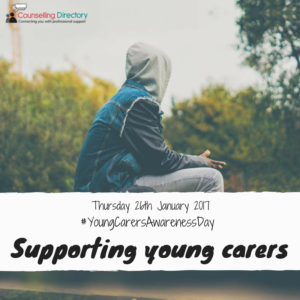 Thursday 26th January 2017 is Young Carers Awareness Day. With an estimated 700,000 young carers in the UK, we want to support Carer’s Trust and recognise the challenges young carers face every day. This year, the theme of YCAD is ‘When I grow up’ and focuses on the future of young carers, helping them achieve their dream jobs. A young carer is a young person, under 18, who helps to look after a family member or friend. They may be responsible for cooking and cleaning, or helping someone get dressed and going about the day. Caring for someone will often require physical help, for example looking after a disabled relative, though it can also involve emotional support too. This is often a full-time job, despite the young carer still being in education. Some people may be very young when they start caring, and this often means they do not know they’re a carer – they may not know any different. Then again, some young carers are thrown into the role without warning, for example, as a result of an accident or sudden health change. While caring can be a very positive experience, providing life skills and satisfaction of caring for a loved one, it can affect daily life greatly. At such a young age, you are not normally responsible for another person, in fact, you are normally the one to be looked after. Caring for another can bring many pressures, including stress and a reduced social life. According to Government policy, young carers should not be expected to perform the same care role as an adult and children shouldn’t be solely relied on to provide the care. While this isn’t always possible, in April 2015, two new pieces of legislation came into effect, giving new rights to care and support for young carers and their families. These laws are called the Care Act 2014 and Children and Families Act 2014. As part of the new law, you or a parent will need to request a visit from a social worker from your local authority to carry out a ‘young carer’s needs assessment’. This will help them decide what kind of help you and your family might need. The assessment will decide whether you should be caring for another person, and if you really want to. The social worker will also look at your education, leisure opportunities and your views on the future. If you start to feel the impacts of caring are affecting your mental or physical health, counselling can be an option. As a young person caring for another, life can be very isolated. 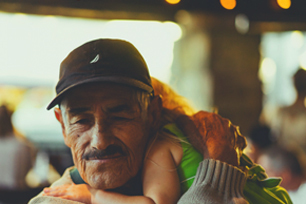 While you’re looking after a loved one, others your age are spending time socialising, learning and well, growing up. Counselling can give you the chance to talk in a safe, non-judgemental environment. A counsellor will recognise the highs and lows of your role as a young carer. 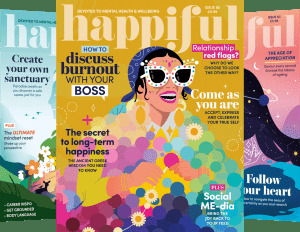 Stress can greatly affect your physical and mental health, so if you’re struggling, it is important you speak up if you can, and seek support. While it may feel like it, you’re not alone. You’re doing a great job but everyone deserves a helping hand if they need it. If you are ready to talk, but unsure of the next steps, you may benefit from speaking to a family member, teacher, GP or social worker. If they believe counselling may be right for you, they can help you start this journey. If you’re not ready to contact a counsellor, there are other places available where you can seek support, including school and teacher support, children’s charities and carer’s organisations. Visit our Young carers and Carer support fact-sheets for more information. Living and working overseas - endings are part of the path we walk... Why talk to a therapist?